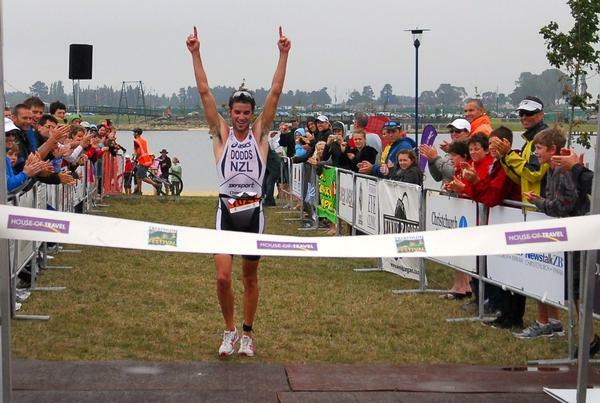 Christchurch's HOT Triathlon Festival is back – bigger and better! Christchurch’s House of Travel Triathlon Festival will be back again this December and it’s promising to be bigger and better. With the success of the inaugural event last year, which attracted nearly 500 athletes, the Canterbury aftershocks haven’t deterred event director John Newsom from bringing the one-day festival back to the region. “Last year’s event went really well with a great turn out and I’m so pleased to be bringing it back again this year. There are new and improved events and an even bigger prize purse this time around so we’re hoping to see more athletes line up this year”. Set on the outskirts of Christchurch at the newly developed Pegasus Township, the HOT Triathlon Festival will take place on Sunday 11th December 2011. All the action revolves around the sublime freshwater lake utilizing its sealed lakeside running trail and the smooth, flat roads around the town. The venue is unscathed from the recent earthquakes and promises some fast-paced racing which will be fun and exciting for the athletes and spectators. Race 2 - “Fendalton Eye Clinic” Team Challenge - get your colleagues, friends and family together. Race 4 - “John Bull Cycles” Try a Tri – for first-timers and novice athletes. Race 5 - “SBS Bank” Tri Kids Challenge - for 9 to13 year olds. Race 6 - “Christchurch Casino” Elite Cup - a double super sprint, handicapped race for national and international class athletes. Entries are now open for all festival events and this year there’s more prize money up for grabs. As competitor numbers grow so does the prize money, with a minimum prize purse of 15% of all entry fees. This exciting day of events is supported by “House of Travel” who are really pleased to be behind the event. “Triathlon is experiencing amazing growth in New Zealand and this festival is a great way to support all triathletes from first timers to those at the elite level,” says Steve Marshall of House of Travel. For more information and entry details for the “House of Travel Triathlon Festival” go to http://www.triathlonfestival.co.nz/ There are limited entry spaces for each event so be in quick to make sure you don’t miss out on being a part of this great sporting event.